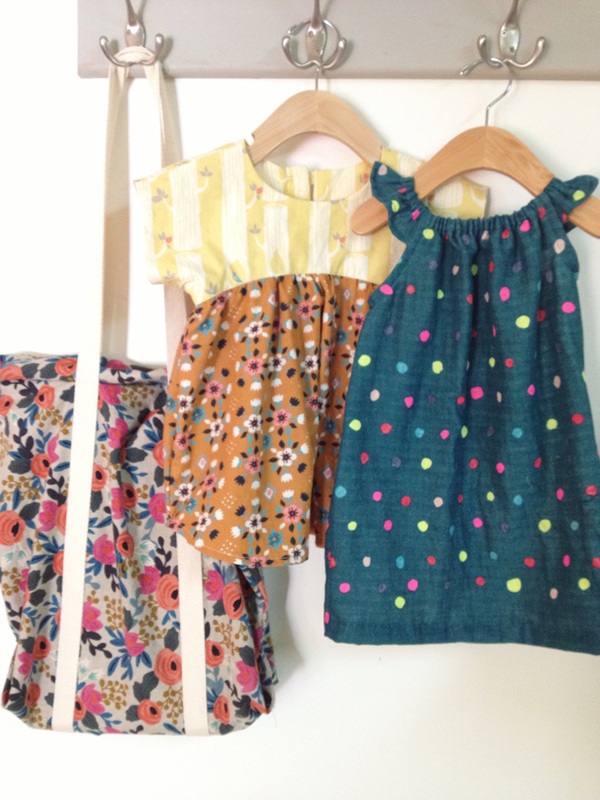 Last month I did a little fabric shopping for my birthday and I picked out lots of fun fabrics to make some little girl clothes, which then turned into making some little doll clothes. 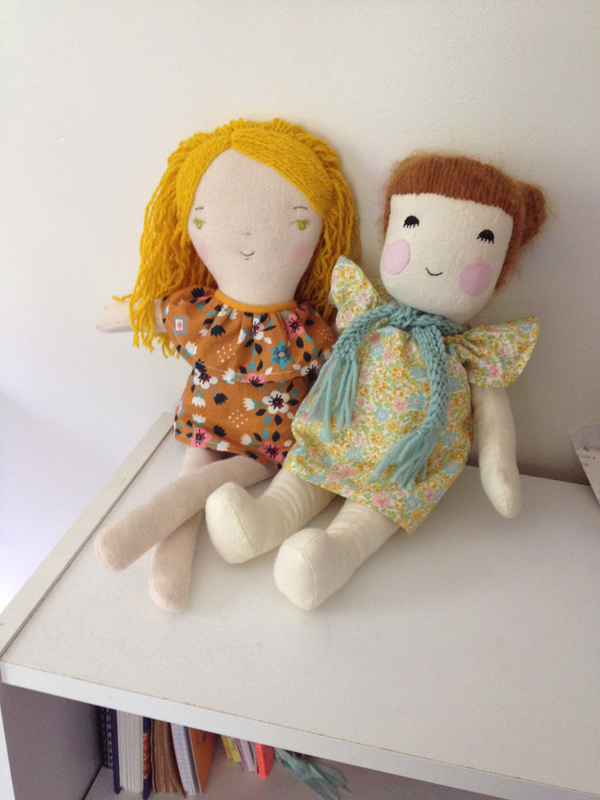 My little one informed me that Baby (her doll I designed and made) needed a friend. 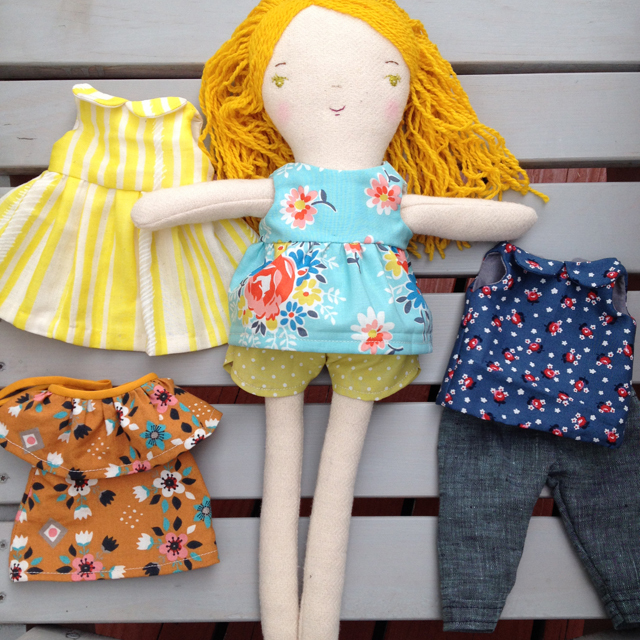 I used it as an excuse to purchase the Wee Wonderful make along pattern and now Baby has a friend, with a sweet little wardrobe. Oh, and I have a bag made from canvas from the Rifle Paper collection too!